Proper maintenance of air tools used in mobile applications, such as tire service, mobile mechanics trucks and construction, directly affects worker productivity, operations costs and profit. When an impact gun or air grinder or jackhammer breaks down prematurely, equipment operators can’t do their jobs, causing work delays (and unhappy customers) and unnecessarily high tool replacement costs. So, what can you do to ensure your fleet’s mobile air tools receive the care they need to perform at maximum efficiency, at the lowest total cost of ownership? VMAC spoke with industry experts from Les Schwab Tire Company, Air Centers of Florida, which is an Ingersoll Rand master distributor, and Vulcan Demolition Tools, to get their advice. Here are five mobile air tool maintenance best practices they shared to help you boost productivity, lengthen tool life and, ultimately, bolster your organization’s bottom line. What happens if dirt collects inside the air tool? While dirt may not cause an immediate breakdown, it’s likely to make the tool wear out faster, said Bill Goldberg, tool and hoist sales and service manager, Air Centers of Florida, an Ingersoll Rand master distributor, with facilities in Tampa, Orlando, and Jacksonville. What happens if moisture collects in the tool? When blowing out the line, remember to also regularly check the power source – the air compressor – to ensure the compressor’s air filter is not clogged or damaged (which would allow unclean air to flow downstream through the lines to the tool). If dirt bypasses the compressor’s air filter, chances are it’s not going to be filtered before it hits the air tool, unless you use something like an FRL (filter/ regulator/ lubricator), which offers an added level of protection, attached closer to the tool – to improve efficiency and extend tool life. Adding a reservoir tank will also help eliminate water getting to your tool. Ensure you drain the reservoir and all airlines regularly/daily. Properly plumbing the airline to the tank will improve the effectiveness as well. Plumb hoses from top of tank so water cannot get into lines. Sufficient and appropriate lubrication is essential for optimal tool performance, otherwise the tool will break down prematurely from excessive heat and wear. How often should the tool operators check the oil and grease levels on their tools? “Check oil [in the tool’s oil reservoir and FRL, if used], primarily when you start the shift, and then periodically, depending on how much the tool is being used, to make sure it’s full,” said Gilbert. If you do not have an inline lubricator, lubricate all air tools when you put them away at the end of your shift. What about recommended grease intervals? The bottom line: If your employee is working with an air tool that uses a socket, point or chisel, make sure that the attachment is not excessively worn or damaged before he or she puts it in the tool. “These are the little things that have to be checked before they start working with the tools because they could end up causing damage to the tool or [as in the case of fractured blades and chisels] injuring themselves,” said Gilbert. It’s one thing for technicians or equipment operators in the field to know what to do to maintain their air tools; but how do you actually motivate them to take care of those tools when you’re not out on the job site to supervise them? 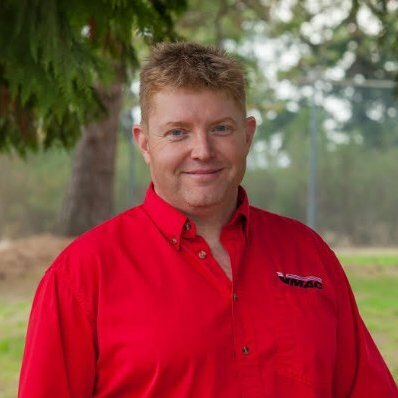 Deboard said that at some of the Les Schwab locations, they assign a service tech who is responsible for lubricating all the guns in the store at least once a day when the crew puts their tools away at night. And when the air tool doesn’t work at the job site, neither does the tool operator – hurting productivity and profits. Begin by hiring quality employees who are most likely to care for the tools or have them buy their own. Designate certain employees to check, clean and lubricate each crew’s air tools at the close of business or end of each shift.